Twenty-second Amendment – We’ve Done It Once, We Can Do It Again! Show your support for Term Limits by having your picture taken holding a sign, wear a Term Limits T-Shirt/Hat, Make a 30 sec. 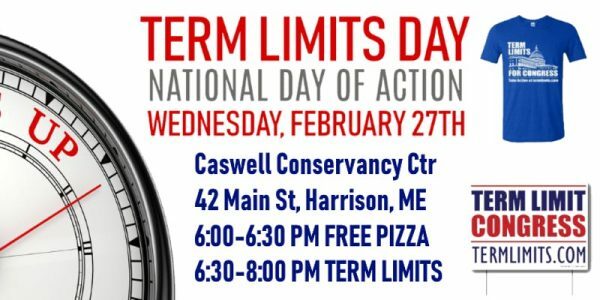 video sharing why you support a Term Limits Amendment for Congress, Write a Letter to the Editor, etc. Be creative and help us grow the movement for TERM LIMITS!